The best way to be successful with a healthy lifestyle is to have a plan. It can be as loose or structured as it suits your personality, but no plan usually leads nowhere. If you haven’t been successful in the past, now is the time to focus on your healthy lifestyle goals. Use these ten tips to designing your healthy lifestyle to help you get started formulating, re-formulating, and fine-tuning your plan for wellness success. What do you want to accomplish to live a healthy lifestyle? How will you know you’ve achieved your goals? What will your healthy lifestyle look like? Put as many different activities on this list as you can think of. 4. What will your Fitness Workouts Look Like? How many days a week are you committing to exercise? How long will your workout sessions be? What is the optimal time of day for you to exercise? Determine which of your friends and family members can be in your inner-circle for support, and perhaps as a workout-buddy to help keep you motivated to move. Tell them what you’re doing and ask for their positive encouragement to help keep you on track. Donate any food you know is good but you’re not going to eat with your new healthy lifestyle, to your local Food Bank or a Shelter. These can be anything from knitting, reading a book, soaking in the tub, getting a massage, meditation, painting or drawing, singing, video games, to watching a movie… what’s on your list? Strive to do one daily or at least pick one from your list and do it a few times a week! Ideally, how many hours of sleep do you need at night to wake up refreshed and re-energized? Plan your bedtime so you can wake up each morning feeling good while also allowing your body the rest it needs needs to feel refreshed and re-energized. Be sure you have what you need to get started without any more excuses. Healthy food in the kitchen, a good supportive pair of tennis shoes, comfortable workout wear, bike tuned-up ready to roll, other sports gear easily accessible, any fitness tools you need for at-home workouts, a health club membership… Make it easy to get started TODAY! YOU are worth the investment in time and energy it will take to design your healthy lifestyle! While it might seem a little overwhelming to get started, if you’ve given these ten tips serious consideration and are designing your healthy lifestyle with each of them in mind, you will find it’s easy to stay on track to reach your wellness goals. Why wait another minute? Get started now creating the healthy life of your dreams. If you are ready to get started designing your healthy lifestyle plan and want to include Pilates and functional fitness training, contact me today to schedule an initial consultation. Let’s work together to keep you strong, fit, flexible, and injury-free. Posted by administrator in Goal Setting, Health. Celebrate Your Pilates Progress – Cheers to Your Success! It is always fun to see how far we’ve come. Who doesn’t love a great before and after shot of a home makeover, a weight loss success story or fashion makeover? But what about celebrating your Pilates progress…How far have you come in your Pilates journey? And how do you celebrate your Pilates progress? Do You Remember How You Felt When You Started Pilates? Sometimes clients actually forget how they felt, or what their body was capable of when they started. Do you remember how badly your feet cramped after only a few exercises during your first few Pilates sessions? How smooth was your roll in rolling like a ball? What other exercises or Pilates concepts seemed to make sense in your brain, but seemed impossible to execute in your body, and now they are a piece of cake, you barely have to think to move with ease! When was the last time you took a moment to celebrate your Pilates progress? Did you know that Joseph Pilates celebrated “Champagne Moments” with his clients? Yep, when someone achieved a breakthrough, did an exercise that they’d been struggling with, or something fabulous and monumental while they were in the studio, everybody would stop their workouts, they’d pop the cork on a bottle of champagne, fill up little Dixie cups, cheer, toast, and celebrate the achievement. Quite a fun way to celebrate your Pilates progress don’t you think! I hate to see clients drop out of Pilates, frustrated, and feeling like they’re not making progress. For new students often BIG changes happen right at the start, but most of the time it’s the accumulation of very small shifts and improvements that with time, make the biggest impact in our lives for better health and wellness. And achieving greatness takes time, patience, and consistency. But you can’t just celebrate reaching the BIG goal, you have to learn to celebrate your Pilates progress with all the little steps along the way. This is the motivation that can help keep you moving in the right direction. It’s good to have both short and long term “Pilates” goals to work on. With goals you have benchmarks. Every time you reach your next benchmark you have an opportunity to celebrate your success, and will have clear things to identify that can be “Champagne Moments” for you. Take the initiative to keep the lines of communication open to stay in sync with your mind, body, AND Pilates teacher, to get the help you need to move forward so you can celebrate your Pilates progress. Whether you’ve been doing Pilates for a week, a year, or 20+ years, every Pilates workout gives you the opportunity to achieve greatness for a healthy, happy, well-balanced body. Think about what you want to achieve, how you want your body to feel and look by practicing Pilates. What things in your daily life will improve? What things that are challenging for you now will be easier? What other sports and activities will you be able to enjoy? All of these answers will help you appreciate your efforts. Remember where you started, what you’ve achieved so far, and where you’d like to go to improve your strength, flexibility, and fitness for a healthy and active life. So now tell me, how do YOU plan to celebrate your Pilates progress? Sometimes it can be helpful to track your workouts! Check out the BeFit Journal to keep you on-track for 5 Years of fitness! Posted by Aliesa George in Goal Setting, Pilates. Are you still out shopping and looking for great fitness gift ideas for the health enthusiasts in your life? What could be better than wellness solutions for better mind-body health from your head to your toes. These are perfect fitness gifts for Pilates students, Runners, Walkers, Athletes, Dancers, and regular everyday folks who are inspired to improve their health and fitness at home, at the gym, or on the road. 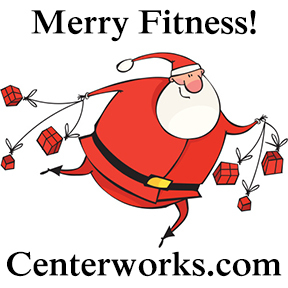 Check out these easy to use, products, books, and resources from the whole-body health experts at Centerworks® and give the gift of good health for the Holidays! Posted by Aliesa George in Exercise and Fitness, Foot Care & Foot Fitness, Goal Setting, Health, Mind-Body Health. Enjoy this moment of movement motivation and inspiration! If you’ve been considering new recreational sports, but think that perhaps you’ve waited too long in life and you’re too old to participate, check out this video clip of gymnast Johanna Quaas who currently holds the Guinness World Record as the oldest gymnast in the world! Posted by Aliesa George in Goal Setting, Motivation, Inspiration & Goal Setting. 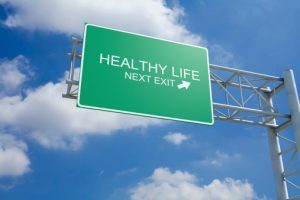 (part 1 of 6) What Are Your Specific Health and Wellness Goals? The foundation of achieving health and fitness success involves several key strategies to ensure your workout program is lifestyle friendly and effectively getting you the results you desire. Whether your goals are to lose weight, get stronger, more flexible, run farther or faster, participate in a marathon, fun run or triathlon, or be competitive in sport you enjoy… there are sport-specific exercises that will be helpful to include in your training plan, but there are also a few foundational principles that can be instrumental in helping you achieve health and fitness success. For everything we do in life, finding balance, and developing good cross-training strategies can help improve motivation and keep our burning desire to do what it takes strong. Whether you’re an Olympic athlete, excel in your sport professionally, enjoy participating in recreational fitness activities, or are just getting started and in the beginning stages of developing your exercise program and training plan, taking a few minutes to evaluate your strategies and confirm that you’ve got the right foundation for success can keep you on track to reach your goals. Posted by Aliesa George in Exercise and Fitness, Goal Setting, Health, Motivation, Inspiration & Goal Setting. 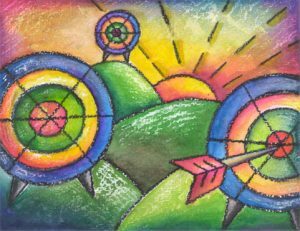 Expectations – Are You On Target? Are you getting what you expect out of life? Expectations are an important driver for getting to your goals. Is what you expect to achieve in line with the actions you’re taking to reach your goals? 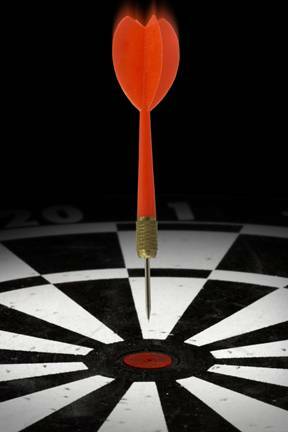 Continue Reading ‘Expectations – Are You On Target? Do you ever wonder why you’re still trying? Does progress to reach your goals seem like it’s at a standstill? Have you started and quit, started and quit multiple times because you just don’t feel like things are moving forward? Maybe it’s time to take a 360° look around to gain some new perspective. Posted by Aliesa George in Goal Setting, Motivation, Inspiration & Goal Setting, Pilates Exercises, Techniques & Teaching Tips. Have you ever used a Fitness Journal to log your exercise and fitness workouts? It can be so helpful to keep an exercise log to document your progress and help keep you accountable to reach the goals you’ve set for improving your health & wellness. Workout tracking works! Put this great exercise motivation tool to work for you. Posted by Aliesa George in Exercise and Fitness, Goal Setting, Pilates. Goal Setting for a Healthy and Happy Life! Are you ready to take the next very important step to actually achieving your dreams and goals…? Before you click to another web page, get out a blank piece of paper or open a new word doc, and do a quick exercise to empower your thinking about your Goals. Put your name and today’s date at the top of your page. Number your page 1 to 50. Take the next 5 minutes and as quickly as you can write down as many things you can think of that you want to SEE, DO, and HAVE before you die. This is your Dream Building List! ARE YOU WRITING YET…OR DID YOU SKIP IT AND SAY, “I’LL DO IT LATER.” COME ON, HAVE SOME FUN – TAKE A FEW MINUTES AND DO IT NOW!!! 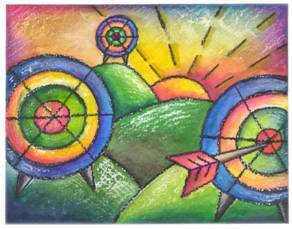 Continue Reading ‘Goal Setting for a Healthy and Happy Life! Posted by Aliesa George in Goal Setting, Health, Mind-Body Health. Anna Graceman is My Inspiration to be a Superstar! I believe all of us are here on this planet with a mission to achieve. And whatever we do, we should strive for Superstar status, doing the very best we can, and giving it all we’ve got. I came across this video by 11 year old singer-songwriter (Yep – 11 years old!) Anna Graceman – and I have to say, she’s rocked my world and given me a swift kick in the rear of inspiration to work towards Superstar status for the things I love doing and am passionate about for work, play, fitness, health, and life! Continue Reading ‘Anna Graceman is My Inspiration to be a Superstar! 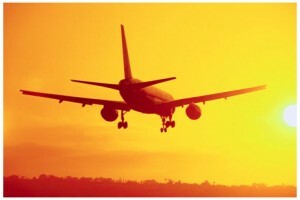 Posted by Aliesa George in Goal Setting, Motivation, Inspiration & Goal Setting, Videos.